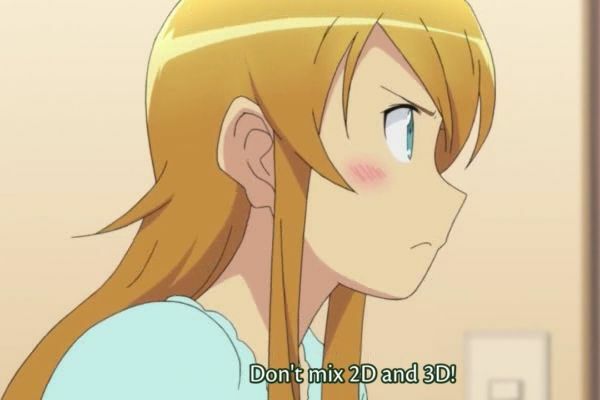 “Don’t mix 2D and 3D!” That’s how it used to be, but with Google+ the so-called Real Life is invading cyberspace, for better and for worse. It is all over the news, at least the kind of news I read. Google’s new social media will finally challenge Facebook on its home turf. Or rather, Google intends to extend its home turf over to where Facebook is now. Naturally I have requested invites wherever I can, using any tricks I can find, but I’m not getting in. This may be a good thing, actually, since I may be one of the few humans which the Google+ system does not work well for. The basic philosophy of Google+ is that we don’t have a big mass of contacts that are all simply “friends”. Rather, we naturally relate differently to people we know, depending on where we know them from. We have something in common with coworkers, but something entirely different in common with relatives. Chances are that the two groups don’t overlap much. While there are some things we want both of these groups to know, there are some we reserve for one of them. Then there are groups connected by a shared hobby, or religious activities, or shared education, neighbors, former neighbors, or interesting people we just stumbled upon on the Net. Parents – or at least mothers – keep tabs on the families of their children’s friends. Over the course of a generation, this can rise to epic proportions, with some otherwise mentally normal people having 4000 contacts in total. Obviously for those who are not monks or something similar, there is a great boon in sorting these people into groups from the very start. It makes the crowd manageable. It makes it easy to get the right message to the right people. And you can still send important messages to all of them at once. Such as the death of your Significant Other, or the lolcat videos that are a must see. Things like that. Me, I differ from neurotypicals in two Â important aspects here: One, I have very few friends. I don’t easily get to know people, as I generally don’t contact people unless I have some important message that only I can give them. If you know me and are not part of my birth family, you probably contacted me somewhere. I don’t mind that at all, of course. I just don’t do it unto others. Second difference: I like to learn viewpoints that I don’t necessarily agree with. It is easy for me to hold in my mind quite complex viewpoints that are completely different from what I consider true or even completely sane. A few of my friends are Christian conservatives, a couple others are gay liberals. They would probably mutually enjoy dancing on each other’s graves, so I can see the benefit of keeping them separate. But I don’t want to keep them separate from me. I practice the teaching of Johan Oscar Smith: To listen, even if to a drunk in the street. People are born into this world for a reason, and even if they mess up many things, they all have something to teach someone. That someone might be me. So what bothers me is that when we all move to Google+, as any reasonable person would do unless they make some disastrous mistake, I may stop seeing many of the messages I see today: Messages that will now be sent only to certain groups where you expect your message to be accepted and lauded. I may not be one of those. The liberals will probably only send me notices of entirely superficial things, not what they really think. Quite possibly, unfortunately, the same may apply to the Christians and the Buddhists. I’m part of nobody’s in-crowd, except my guardian angel I guess. So, I’m not really in a hurry with the Google+ thing. But I will at least try. I fully expect all of you to move over once you find out how awesome it is. Well, unless the Big Surprise form Facebook is a total revamp after the Google+ model. Â We’ll see how it goes. I’ll keep you posted if I get in.